Parent presentations on bullying can help parents teach their children how to deal with bullies. You've seen a movie or TV program that shows kids picking on other kids. There isn't a question of what is going on. They are bullies, and the kids they choose as victims suffer at their physical and verbal abuse. Bullying doesn't just happen in the movies, however. Unfortunately, it goes on every day in the lives of many children. Bullying can occur anywhere-classrooms, playgrounds, neighborhood streets, and even at home. According to the American Academy of Child and Adolescent Psychiatry, surveys indicate that as many as half of all children are bullied at some time during their school years, and at least 10% are bullied on a regular basis. With such alarming statistics, what can parents do to protect their children? Education is the first step. Many schools and communities have already reaped the benefits of parent presentations on bullying. These presentations not only inform parents about the characteristics of bullies, but they also give parents practical tips to share with their children on dealing with bullies. Bullying can happen in person, and it can happen via the Internet, through chat rooms, e-mails, and popular teen sites, like MySpace. 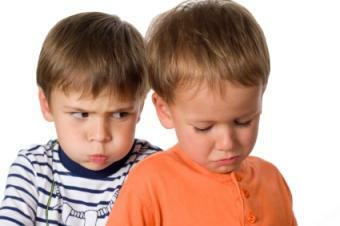 Why do kids bully other kids? They may have been bullied as well. They typically do so to try and feel stronger or more powerful, and this may be a direct result of their own low self-esteem. They may have been influenced by the media and the world around them, or they may simply be following along with the crowd. For whatever reason someone chooses the role of bully, those who suffer at their hands must learn how to stop the cycle. Channing-Bete Presentations-This presentation kit gives school staff -- from teachers to office personnel to staff members who supervise students outside the classroom -- proven strategies for responding effectively when they encounter bullying behaviors. PACER- A workshop titled, "Is Your Child a Target of Bullying: Intervention Strategies for Parents of Children with Disabilities" is offered 2-3 times annually. These workshops are free, and PACER also offers bullying prevention presentations and in-services. Check with your school's administration to see if your school system has a bullying prevention program in place. If they don't, contact your PTO to gain support and become proactive in the face of bullies.